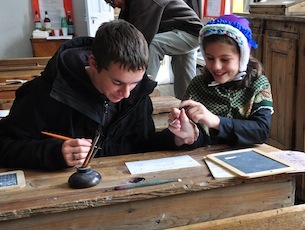 The smell of chalk in the air; the china inkwells with their purple ink which stains the fingers; the old-fashioned dip-pens with their blotting nibs; the vast wall-charts for geography and other things that have to be learnt – the older generations remember and the younger ones discover what it was like for their grandparents! 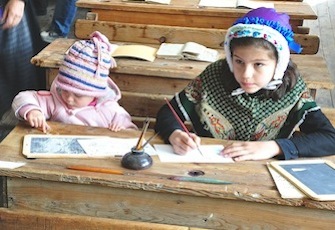 In the Museum of Schooldays, part of the former Brunissard primary school which dates from 1898, an old-fashioned classroom has been recreated, with its wooden furniture on which generations of schoolchildren have carved their names, its cast-iron stove whose warmth would send them to sleep in class, and its books and notebooks from a vanished educational era. 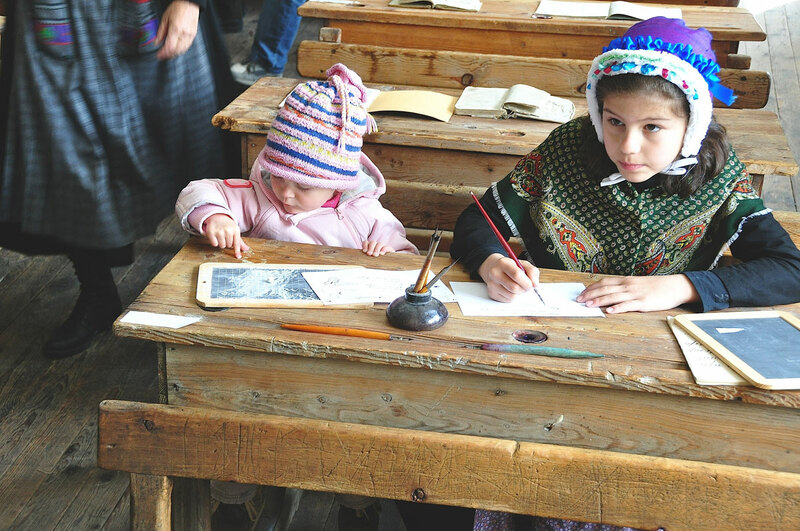 In this village, where the education of boys and girls alike was taken seriously, you can see a piece of advice written on the blackboard in old-fashioned spelling: ‘If you are good, learn”.. “ . 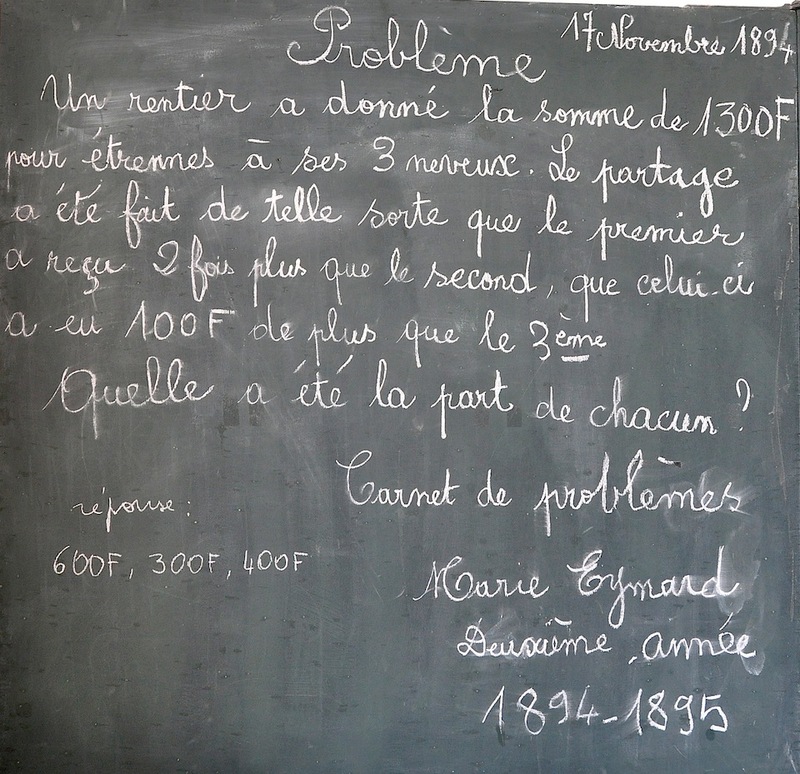 And there too on the board is that arithmetic problem which we could easily solve with algebra – but let’s not forget that algebra was not taught in school in the 19th century. And now “School’s out!”, and you’ve survived another day! 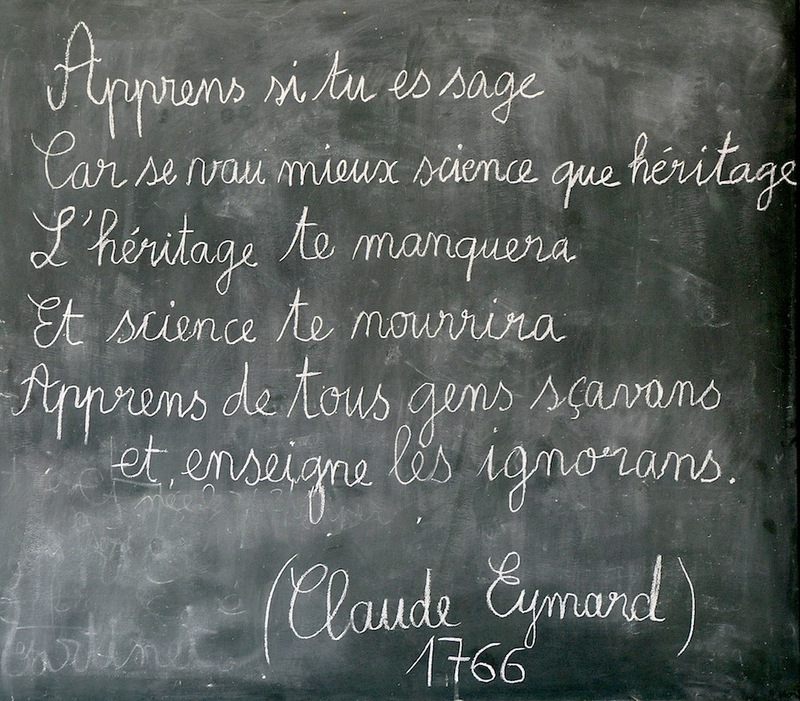 The Museum of Schooldays was set up by the Quey’racines association, which is dedicated to the preservation of local culture in the Queyras. 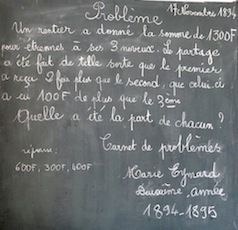 It is based in a building belonging to the Commune of Arvieux. 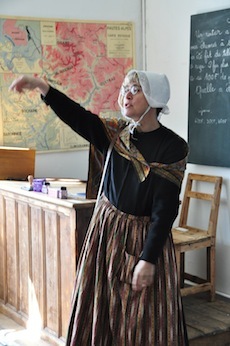 You found the Schooldays Museum interesting and you want to know more about traditional life and costumes? 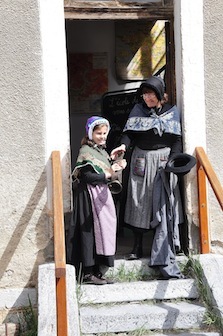 Go and visit the Musée du Soum (Local History Museum) in Saint-Véran or Maison du costume the Museum of Traditional Costume in Abriès. You won’t be disappointed. the old copper-mine of Saint-Véran, an open-air museum unique in the Hautes Alpes. 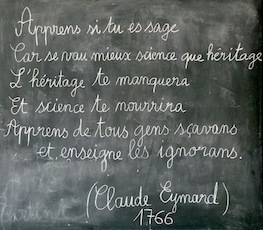 L’Arche des Cîmes in Ristolas, the Park’s museum of animals in the Queyras.